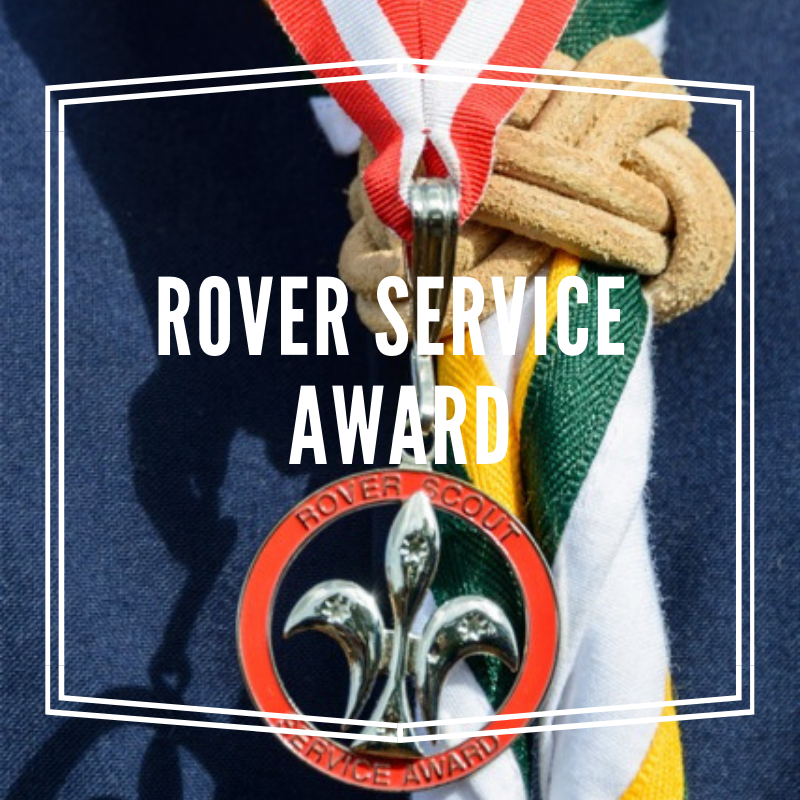 In Rovers there are two types of major award that you can earn; the Baden-Powell Scout Award from completing the Award Scheme, and the Rover Service Award, granted by National upon the recommendation from QBRC for outstanding service to the Rover Section. Below is a list of all the awardees in QLD for these two major awards. The Baden-Powell Scout Award is the Peak Award of the Rover Award Scheme. Below is the list of Rovers who have managed to achieve the award in the last few years in Queensland. The Rover Service Award is a nationally recognized Adult Recognition Award provided by Scouts Australia. Nominations are made to the BRC Chair and Branch Rover Adviser, who then make recommendation to the National Rover Council for the recipient to receive the Award. The Awardees are announced on World Scout day each year. Nominations for the 2019 Awards close on the 25th February, and nominations can be sent to the Chair of QLD Rovers at chair@qldrovers.org.au. Alex has provided outstanding service to the Rover Section and should be credited to the strong relationships now held between Far North Region Rovers and the Rover regions across Queensland. Alex’s involvement in the Cairns Moot events and her ongoing mentorship of the rovers in the region is admirable and she has managed to lay some very strong foundations for the young rovers continuing into the section. Alex lives through the motto of service and acts selflessly in all she does. She is a great example to all rovers and her work will continue to be respected for years to come. Mitchell lives with the true spirit of Rovering, acting selflessly and for the benefit of all Rovers in all that he gets involved in. Mitchell was involved in the initial establishment of Cairns moot in 2011 and continues to support Rovers in putting the event together, acting as adviser to the 2017 event. Mitchell’s involvement in AJ2013 in Maryborough promoted the true motto of service with the construction and ongoing maintenance of the Challenge It! Rover activity base. Mitchell then took on the role of Chief Scrutineer for Banana Bash between 2013 and 2016 at large emotional, financial and time expense to himself and did everything he could to support the event. Mitchell has always kept the spirit of rovering front of mind and has done great things for the growth of Queensland Rovers. Jack has always gone above and beyond to better Rovering in his crew, region, area and the state of Queensland. Jack always steps up to do something new and different, which has led him to become a project team leader, event chair, BYC Chair and region representative among other positions. Jack remains modest and likes to do his work behind the scenes, giving credit more to the people he works with. He does all he can to provide all the opportunities for Rovers and better the growth of Rovering in Queensland. He does it with a great sense of positivity and is always seeking new and younger rovers to teach and involve in the activities. Emma has provided outstanding service to the Rover Section since the moment she turned 18. Emma has consistently provided service to Rover events, and has become a pillar to the successes of Brisbane North Region rovers over the past many years. Emma in her time has built up the region rovers to be a respected group of young adults and continues to do so. She embodies to true essence of Revering spirit and the motto of Service. The Rover Service Award is a nationally recognized Adult Recognition Award provided by Scouts Australia. Ben shows great leadership to the younger Rovers and lower Youth Sections. He encourages motivation to provide service to Scouting and the community and is always willing to volunteer his time to help Rovers and teams in need. Chris displays the spirit of Rovers in everything that he does. He actively seeks out service projects, has built up FBRC to its current position and is never hesitant to volunteer his time to assist in large scale events. He should be commended for his efforts. Chris displays the spirit of Rovering in all that he does, always offering his assistance to Rovers wherever he can. He is a dedicated RA and all-round great source of information and encouragement for all Rovers. Xavier has been involved in Rovering in Qld through his role as Gold Coast Region Rep and now into his third seat as Banana Bash Co-Chair, however, should be commended most on his efforts to unify Qld Rovers. Without the efforts he’s put in to bring together Regional and South East Qld Rovers, the Qld Rovers could not possibly have built themselves to where they are now. Bradley provided much of his time to better Rovering over his time in the Section: as Region Rep, QARM Chair, Bash Barhand and much more. He continues to volunteer his time now 2 years on to assist Rovers and events to achieve the best outcomes. Sam is a true stalwart and supporter of the Rover Section in Queensland. He has made a significant contribution to the progress of Rovers through his roles on QBRC as Secretary and then as Resources officer for five years. In the resources role in particular he has completed a range of large projects, such as the maintenance and repair of the QBRC showers, repair and organisation of the Rover containers (including the building of storage racking and shelving), roadworthiness and repair of the Qld Rover trailer, fitout of the Auchenflower Den for Rover storage and the management and clearing of Southport. Sam has also been a reliable assistant in many of the large state events including his support of the construction of Challenge Valley despite also having another AJ role. Sam has also been a huge supporter of Bash over the years particularly the 2013 return to bash as the safety officer. Whilst Sam has held roles on QBRC for much of his rover time, he has continued to get involved in almost anything as one of those reliable people you can depend on when you need a hard worker to get a job done. Rebecca as been an active member of the Rover Section in Qld almost from the very first moment she became a Rover. She has consistently Challenged herself in new and demanding roles, often confiding to me how much she learnt or acheived personally in one role or another, which she wouldn’t ever have thought she was capable of achieving if not for the the great opportunities available to her in Rovers or for the fantastic mentoring and support she has received. Over many years Rebecca continually proved herself to be a cheerful, reliable and capable contributor to the activities of the Rover Section in Queensland. Through her actions she has demonstrated leadership to her peers and set an example to others of how to get the most out of Rovering, by putting so much into Rovering. Her service to the section has been outstanding and I have no hesitation recommending her for the Rover Service Award. Travis is a perfect example of a Rover who hasn’t necessarily always been in charge, but has always been involved to give an impressive amount of assistance. Travis is certainly in many ways a ‘work horse’, dedicating huge amounts of time and effort into tasks which are crucial, but often ignored by others simply because they aren’t the fun jobs. Travis is well respected by his peers because of this commitment, along with his passion for the development of Rovers in general. I recommend Travis for this award to acknowledge his contribution to Rovers and the movement in Queensland. This nomination is made to recognise Matthews’s consistent service and immense contribution to Rovering on a Crew, State and National level. In whatever pursuit undertaken, Matthew has approached the task with an attitude of enthusiasm, confidence and good humour. Matthew is highly respected by his peers, making him an effective leader and positive influence throughout the movement. Nathan is a role model to our younger youth members and to his peers. In particular, Nathan is very good at reaching out to new members, making them feel welcome and getting them more involved in the Rover Scout section. Nathan has an easy manner, an inclusive leadership style and understands the importance of leading by example to motivate people to work together in teams to achieve shared goals. Whether you are looking for someone to come up with a strategy, organise an activity or roll up their sleeves and do the hard work; Nathan is someone you can always rely on within the Rover section to take up a task, figure out what needs to be done,put together a team and get it done with a minimum of fuss and a maximum outcome. Nathan shows a high level of dedication and commitment to whatever tasks he takes on. His service to the Rover section is greatly appreciated and widely valued by members of the section and the movement.